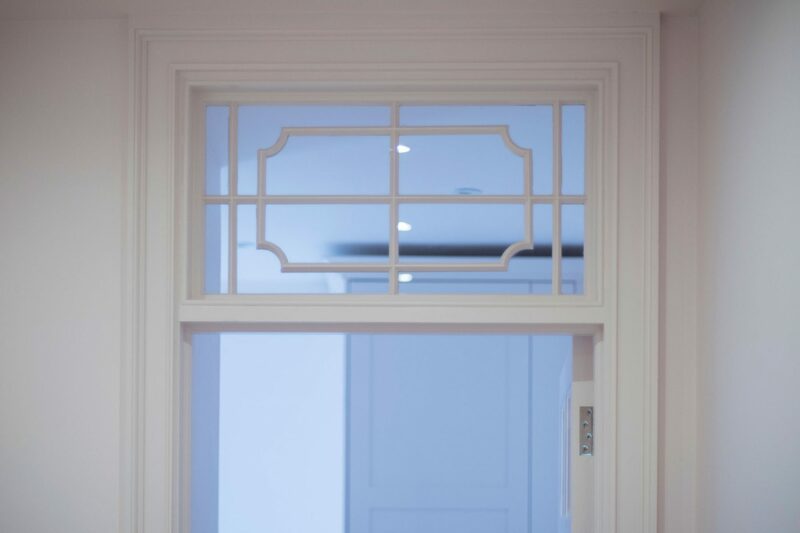 Our client chose delicate hand-blown glass knobs to echo the soft and feminine art deco theme in this area of the house. 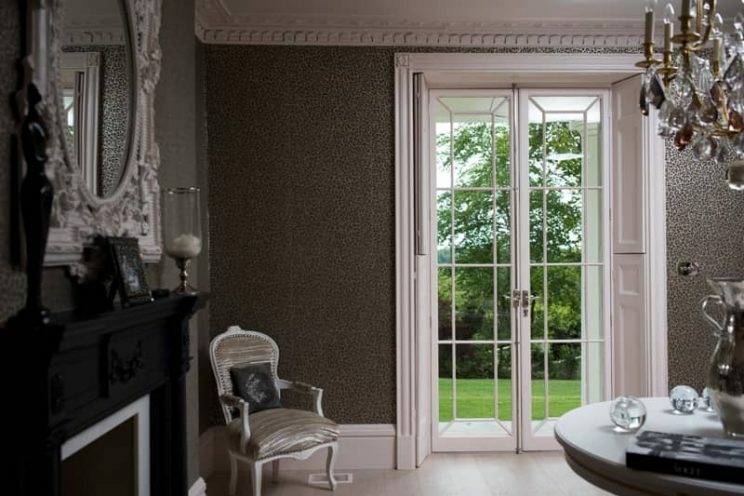 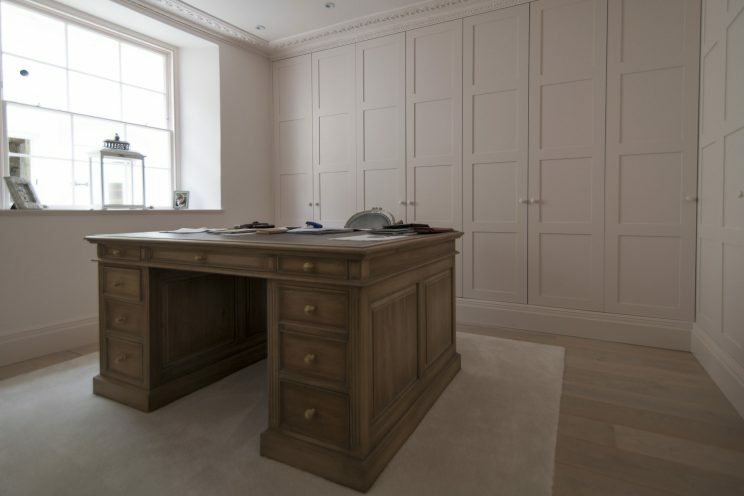 Our brief was to create luxury fitted furniture that was in keeping with the Georgian architectural style of the house. 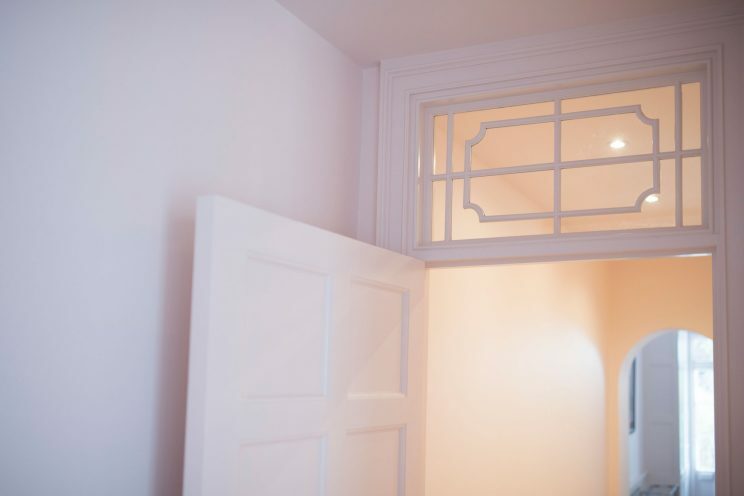 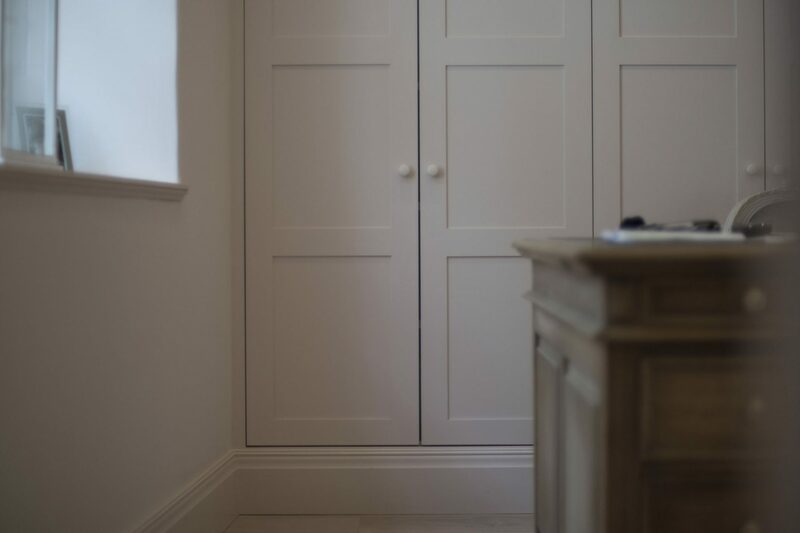 Tom and Laura worked together on the design aspect of this project; specifying geometric square-panelled doors with elegant crown mouldings which were inspired by the existing elegant Georgian doors. 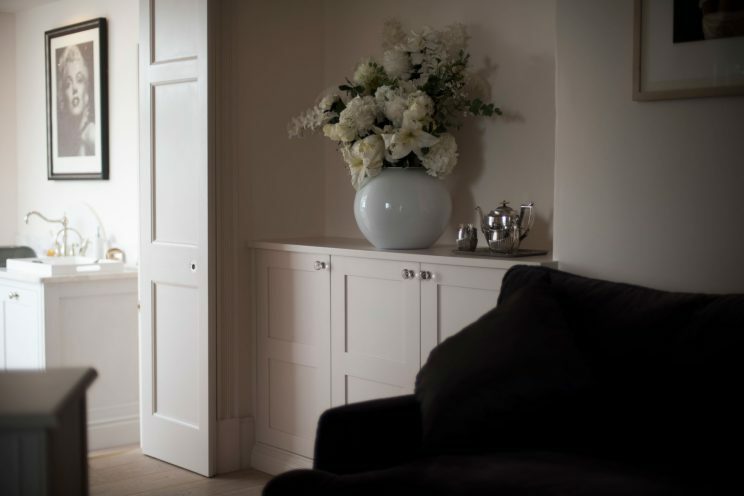 Our team faithfully copied the profiles of the existing period skirting. 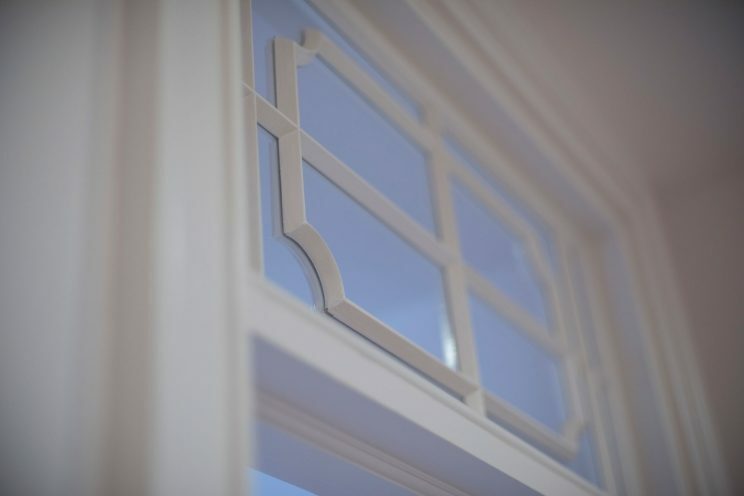 They were all different, so the team had to manufacture special cutters for the spindle moulder, allowing us to exactly replicate the originals. We were tasked with the design, manufacture and installation of an entire fitted office room, with shelves and storage which mimicked wall panelling. 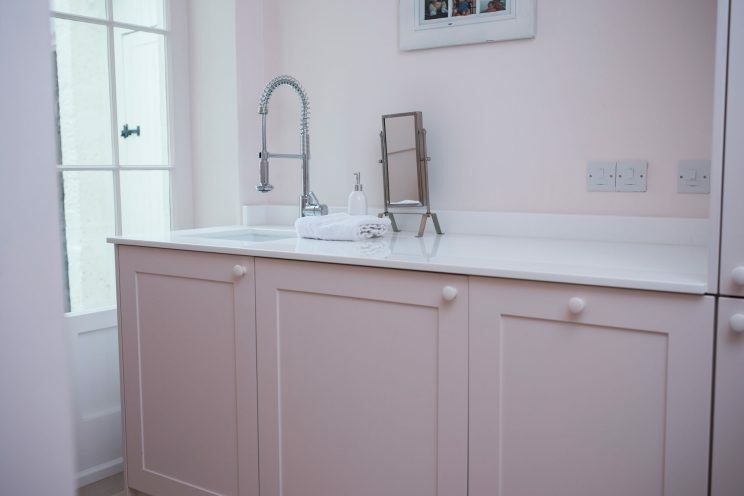 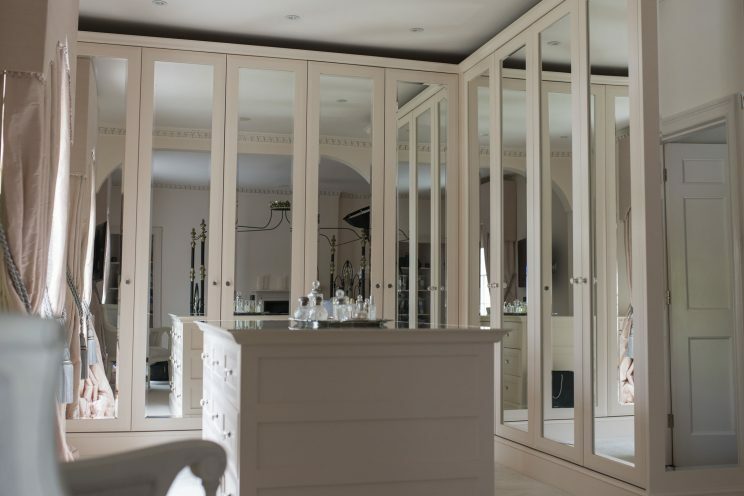 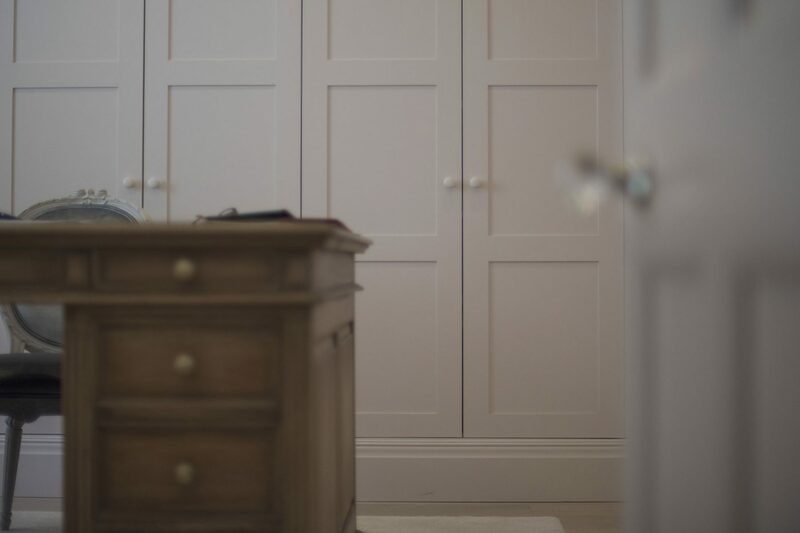 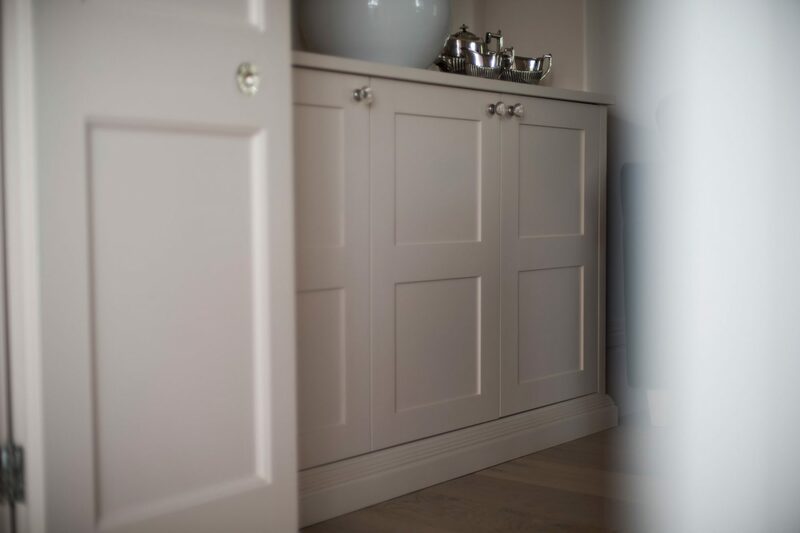 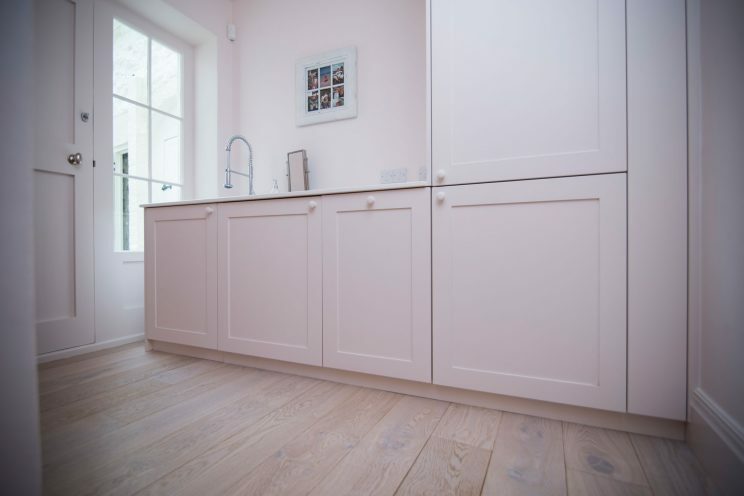 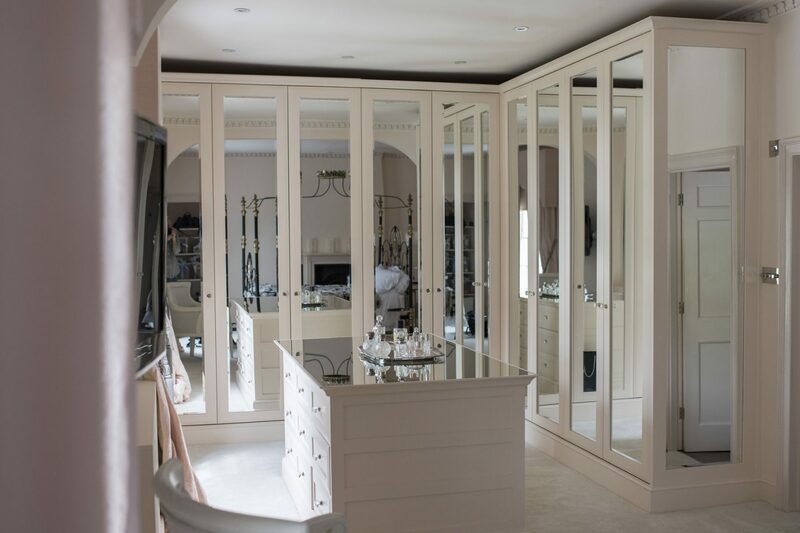 The Bath Bespoke team also made a series of elegant fitted wardrobes for the master dressing room along with a pair of matching alcove cupboards. 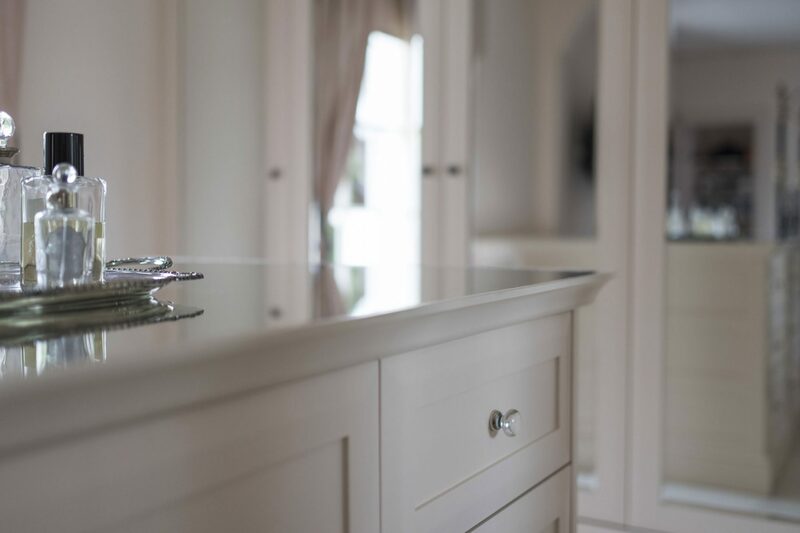 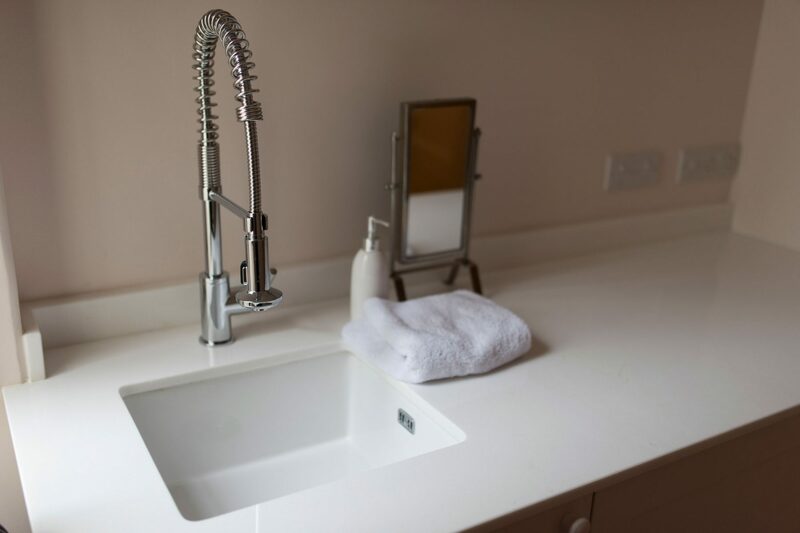 We used oak painted knobs throughout the rest of the project, but here our client chose delicate hand-blown glass knobs to echo the soft and feminine art deco theme in this area of the house. 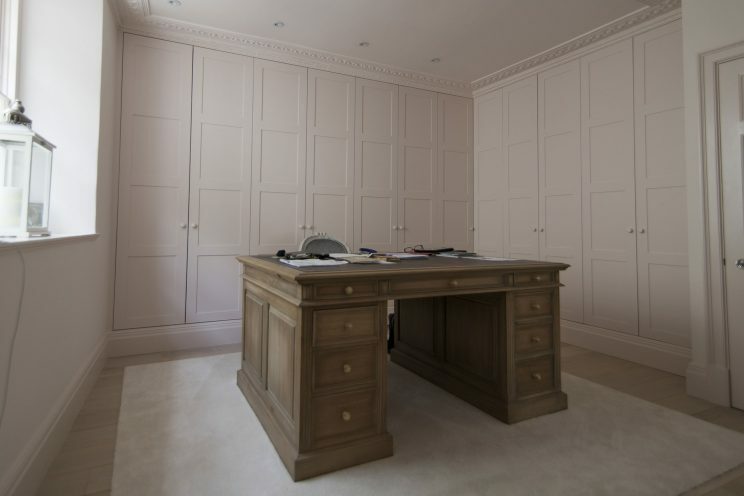 The refurbishment of this lovely Georgian Villa was completed in February 2015.